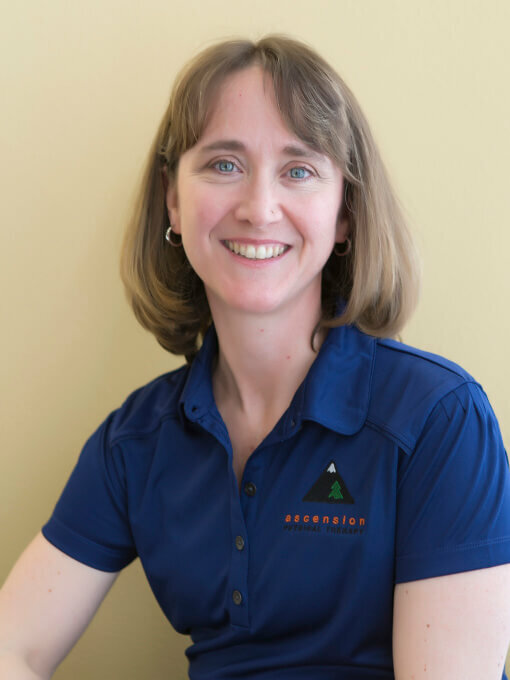 Meredith is one of the owners of Ascension Physical Therapy. Meredith graduated from the Northeastern University physical therapy program in 1995. She began her career in orthopedics in 1996. She completed a three-year post graduate residency in orthopedic manual therapy through the Ola Grimsby Institute in 2004. This has improved her ability to provide a tissue specific diagnosis and treatment. She became board certified through the American Physical Therapy Association in orthopedics in 2004. She was accepted as a fellow in the American Academy of Orthopedic Manual Physical Therapy in 2005. Meredith has taken basic and advanced courses in women’s health physical therapy and has completed level 2 of the Certificate of Achievement in Pelvic Physical Therapy (CAPP). This education gives her the tools to treat diagnoses such as urinary incontinence, pelvic pain, pre/post natal pain and pelvic organ prolapse.